The 10 Best Wedding Locations in Utah! The Utah Valley Convention Center is a beautiful, eco-friendly building on Center Street in historic downtown Provo with all of the fanciest amenities for your dream wedding. The convention center features a more traditional, ballroom space, in addition to a classy roof top garden terrace that overlooks the Wasatch Mountain Range. Even better, the convention center has both an on-site professional event management team and a culinary team that can help to make your special day less stressful. The White Shanty is a new wedding/reception venue in Provo, Utah, that has become wildly popular since its opening. A few looks at the exterior and interior of the venue and it’s easy to see why. Not only is the venue absolutely gorgeous, its rates are fair and your wedding photos will look like they came from a magazine. Stone Gate Wedding & Reception Venue is an elegant wedding location in Pleasant Grove. Depending on the size of your wedding and your wedding budget, the venue features four different rooms/areas for your ceremony and/or reception. The first is a classically elegant “Candlelight Chapel,” the second is a spacious ballroom, the third is the “Great Hall” (a more rustic version of the ballroom), and the fourth is an outdoor space with a quaint pavilion, an amphitheater, and a rustic fireplace. Looking for the perfect wedding venue in Utah County? Call Stone Gate at 801-995-9996 to see how we can help create your perfect wedding! Get $500 off a weekday wedding package when you mention Instagram. Deer Valley Resort is Utah’s ritziest ski resort and a beautiful location for a stunning wedding. A wedding at Deer Valley is one-of-a-kind. The resort has four “on mountain” venues in addition to three other possible venues that are not on the ski slopes. Deer Valley weddings are a shoe-in success if your bank account can take the heat. If you want a mountainside wedding with a more intimate feel, Sundance Mountain Resort (located 25 minutes from Park City) is a wonderful wedding location. With both indoor and outdoor options for the ceremony, reception, and wedding meals, the resort feels like a stunning alpine oasis that will make your wedding day extra memorable. And just like Deer Valley, Sundance Mountain Resort has plenty of luxurious lodging for your wedding guests. Located in Salt Lake City’s famous Memory Grove Park just five minutes away from the Utah State Capitol, the Memorial House has been around for nearly 100 years. The Memorial House is essentially a great hall lined with French doors that features an historic fireplace on one end of the hall. The venue feels traditional, but is also somewhat of a blank canvas that invites creativity but simultaneously guarantees elegance. The venue works well during any season, but is especially nice in the spring and summer, given the beautiful park it calls home. Waldorf Astoria has a reputation for grandeur and luxury. And a wedding at the Waldorf Astoria Park City is no exception. This venue will give you a spectacular mountain wedding. Every aspect of your dream wedding is included in one tidy package, so this is a perfect option. 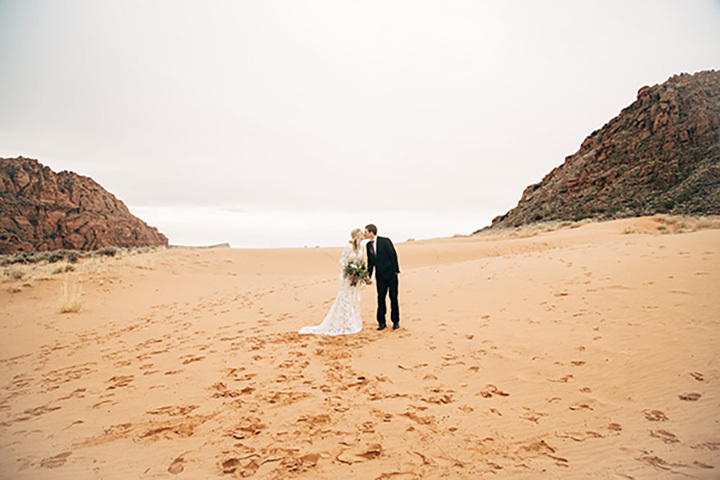 Entrada at Snow Canyon Country Club has a compelling slogan: “Your Destination Wedding… Even if it’s Not.” But truly, a wedding at Entrada will feel out of this world. A red rock, desert oasis, the resort is magnificent. Most Entrada weddings take place in their ballroom: a large space with glass doors that opens onto a patio and event lawn to accommodate both indoor and outdoor weddings. My niece gets married today!! Is this the most beautiful location or what?!!! Similar to the Utah Valley Convention Center, the Dixie Convention Center is a hot spot for community events all year long. It features multiple locations for beautiful wedding receptions and ceremonies, including a round, atrium style Garden Room, a rotunda, and an indoor lobby space. Like Entrada, Dixie Convention Center is also located in the stunning Utah desert, with Zion National Park only minutes away. One of the most popular venues for wedding receptions and ceremonies in Utah County, the Copper Creek Event Center can cater to your specific needs depending on whether you are only interested in the physical venue or in an all-inclusive wedding package. The venue has different price points for different days of the week, allowing you another opportunity to customize your wedding according to your budget.